Anastasia, called Anya, sticks out from the other idols of The Idolmaster: Cinderella Girls due to her heritage, as she is half Russian, half Japanese. Fittingly, she is the boss of Japan's northernmost island Hokkaido. Although she speaks both languages perfectly, she likes to add Russian words to her sentences when she isn't talking to an audience. 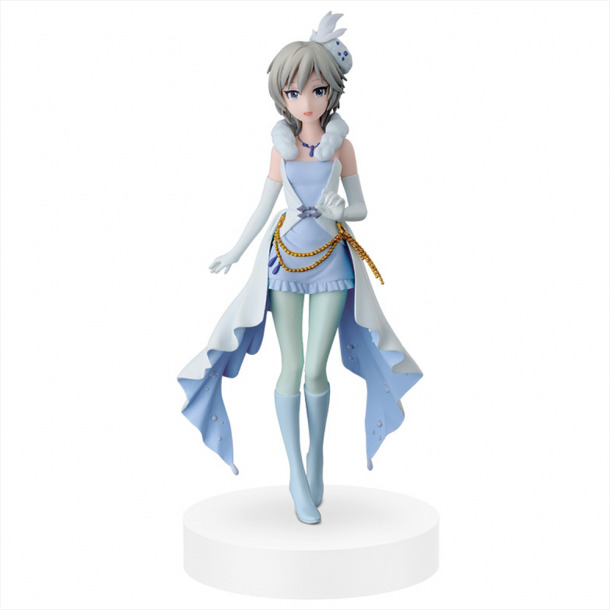 Anya is part of an idol duo called Love Laika and Banpresto has now announced a figure of her in the Love Laika outfit. The soft pastel colors fit well with her fair complexion and her dress even matches the color of her eyes. A great bargain for every Idolmaster fan!